Here in this bike pic, we captured this biker dude, with a green jersey on, having fun pedaling into the Thursday morning sun, riding across Iowa. See more fun photo on the RAGBRAI 2018 website. 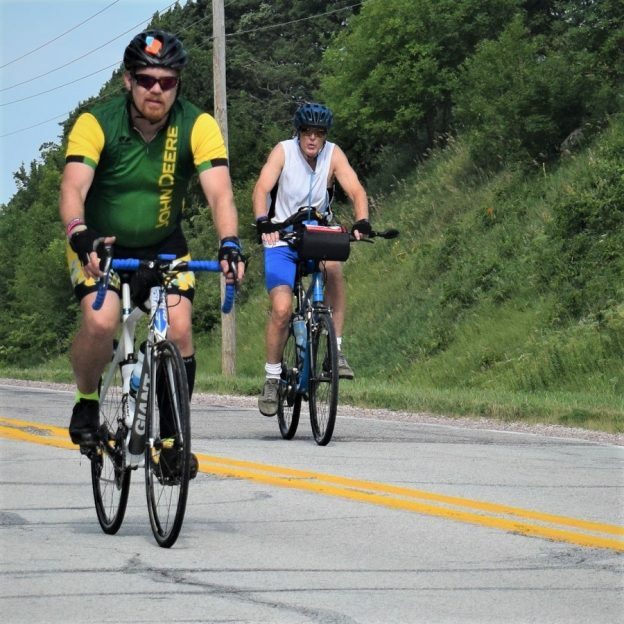 This entry was posted in Picture of the Day and tagged #nextbikeadventure, Across Iowa, bike guide, bike touring, family memories, Free maps, Iowa, John Deere, picture perfect, RAGBRAI, ride right, road biking, touring on September 20, 2018 by Russ Lowthian.